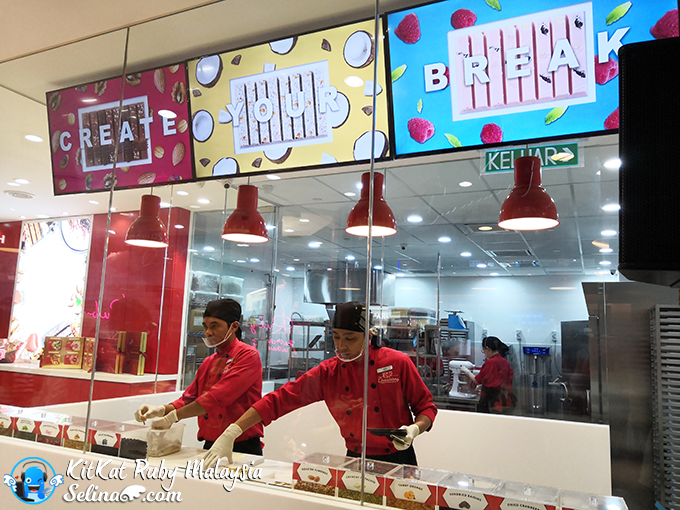 KITKAT Malaysia bring us to discover the World of Breaks at Mid Valley. 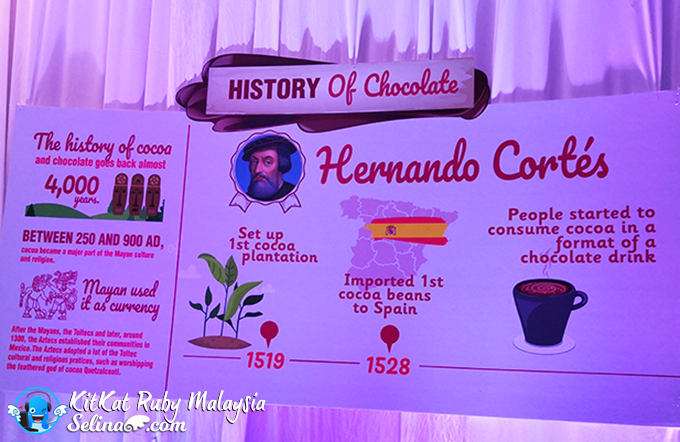 When we stepped in this place, my friend and I enjoyed to learn about how they made the Kitkat in the history. 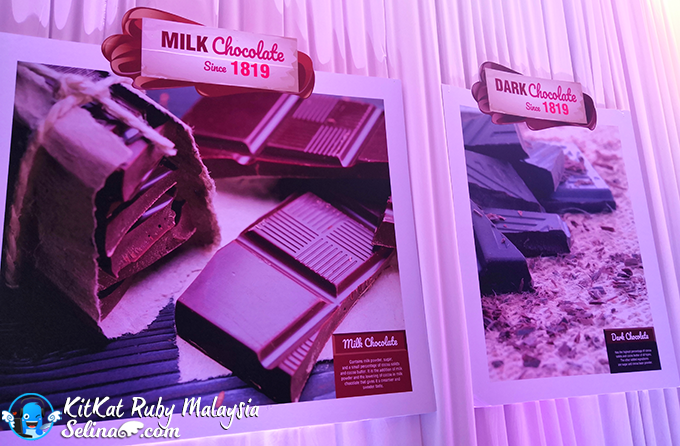 We happy to know that Malaysia have KITKAT's manufacturing plant, which is established in 1993. 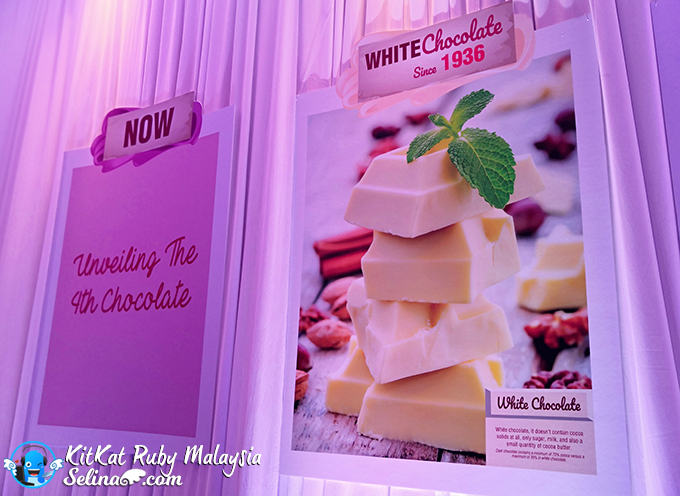 Kitkat Malaysia earned the exclusive Halal certified chocolate, so many Malaysians can enjoy to eat Kitkat Chocolate! 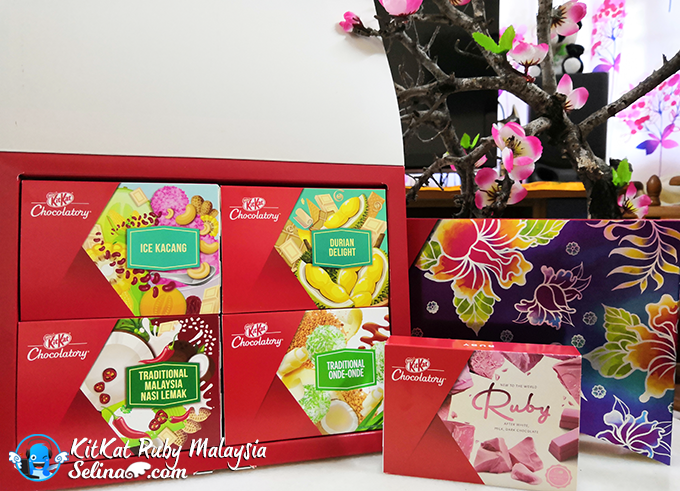 You know, KITKAT Green Tea become 1st Halal in the world. 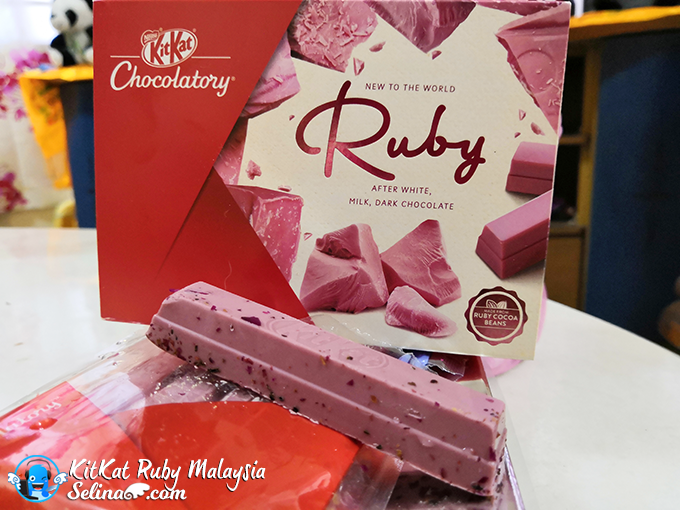 Today, Nestle Malaysia happy to introduce a new-Pink Ruby Chocolate, KITKAT Ruby that marked as first country in Southeast Asia during the launch of KITKAT Ruby at the KITKAT Chocolatory Store in Mid Valley, Kuala Lumpur! 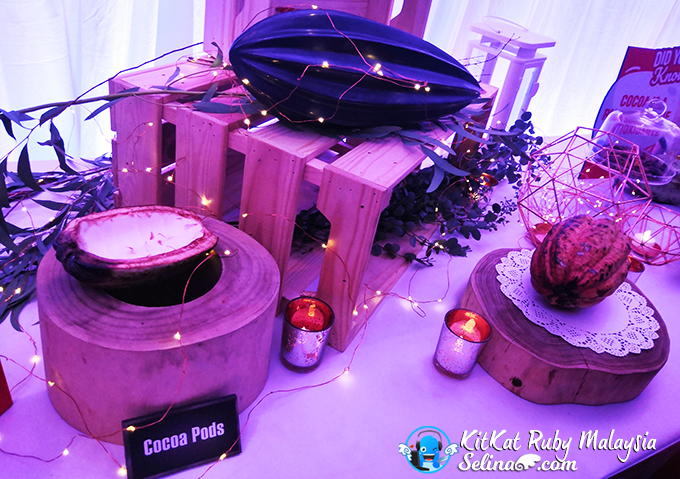 You can see a real big cocoa pods! 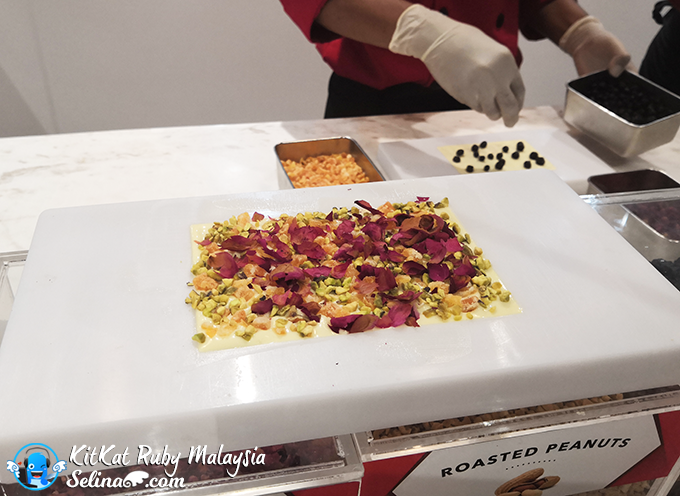 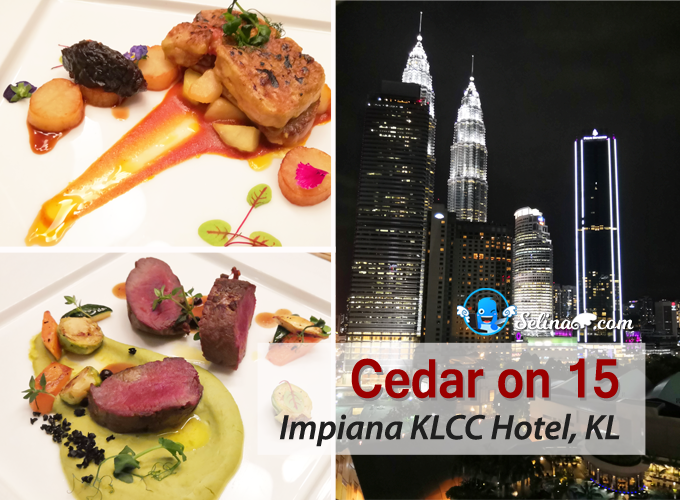 There are 4 types of Malaysian Favourites' KITKAT Chocolate; Traditional Malaysia Nasi Lemak, Ice Kacang, Durian Delight, Traditional Onde-Onde, Milk Tea with Rose. 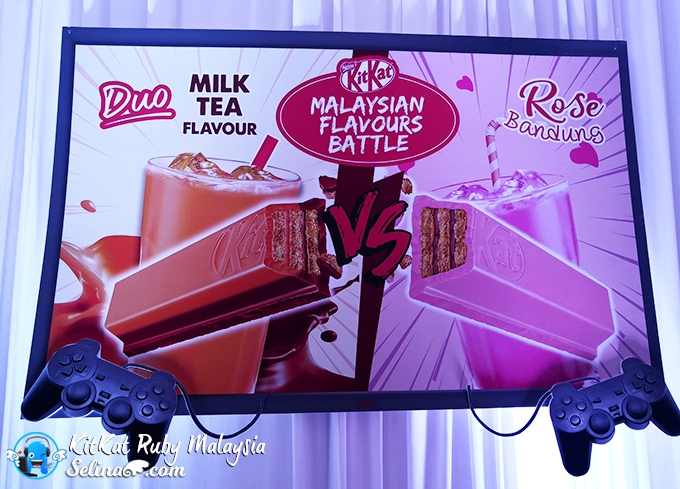 And there is a battle between the local Malaysian's KITKAT: Duo - Milk Tea Flavour or Rose - Bandung! 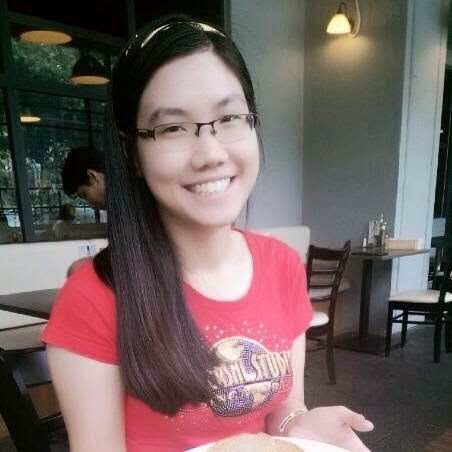 We asked to put a small ball to choose which is one better? 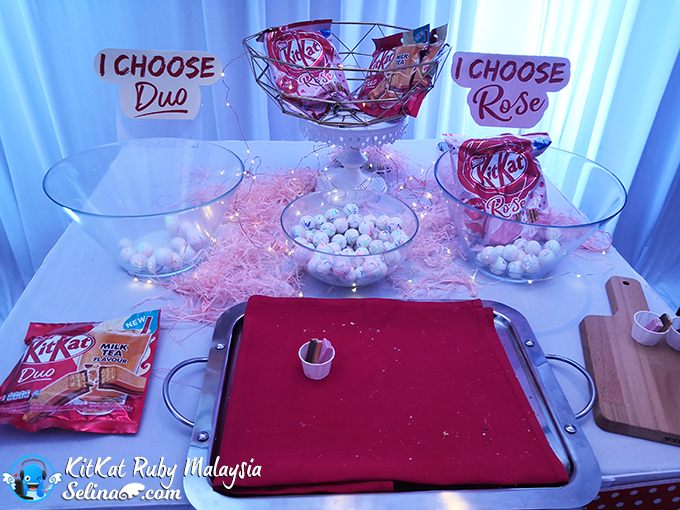 Because they want to know which is our most favourite for Duo or Rose! 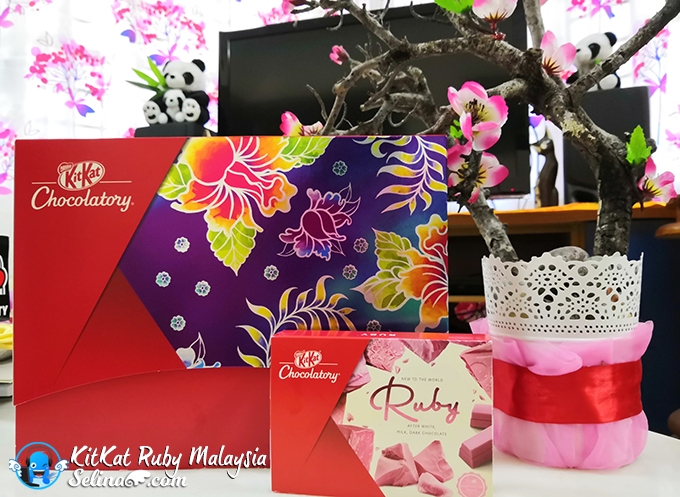 Be among the first to experience the world’s 4th type of chocolate as KITKAT Ruby makes its Southeast Asian debut in Malaysia. 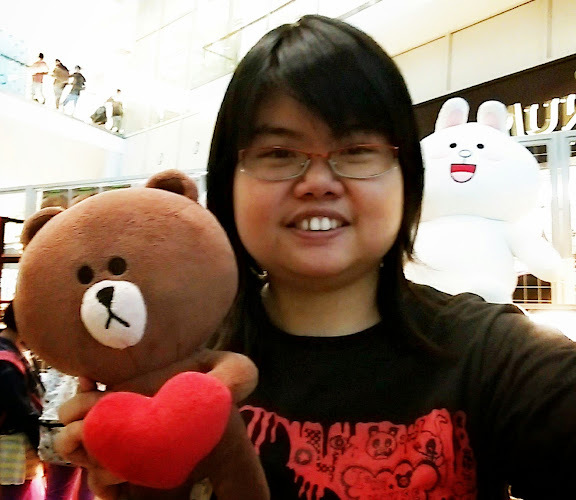 So, You no need go to get new edition of KITKAT in Japan, Europe and South Korea! 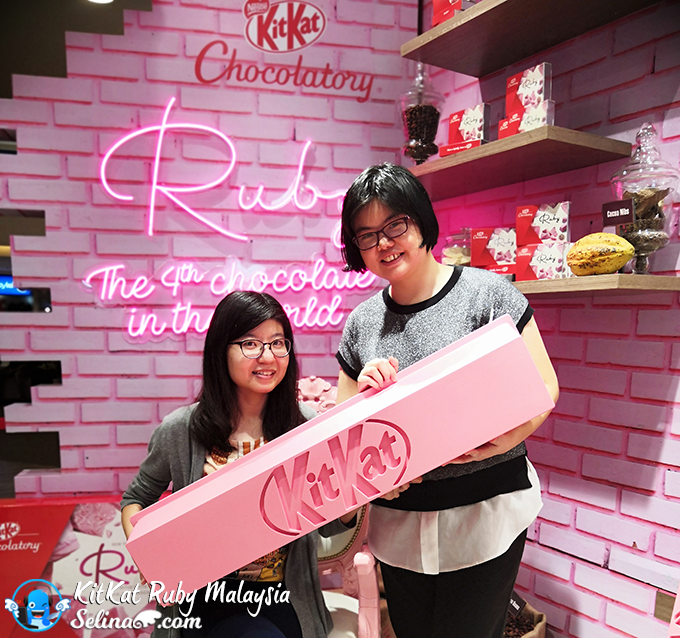 In Malaysia, we can get them at the KITKAT Chocolatory Store now! 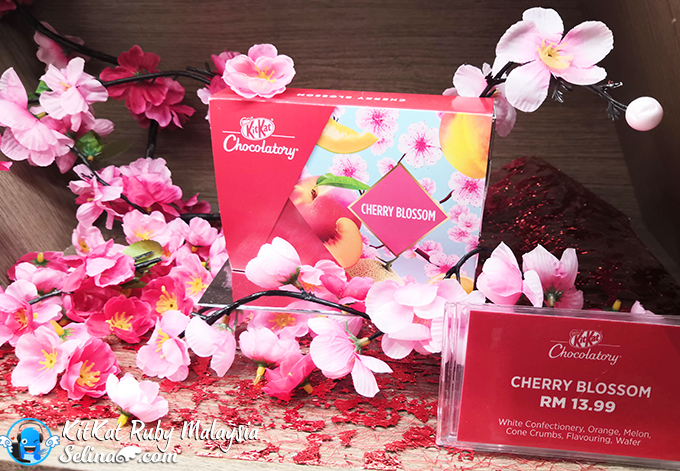 KITKAT Malaysia launched an unique four finger KITKAT - a new pink chocolate with sweet & sour, berry flavour, made with Ruby chocolate in Malaysia - "KITKAT Ruby"! 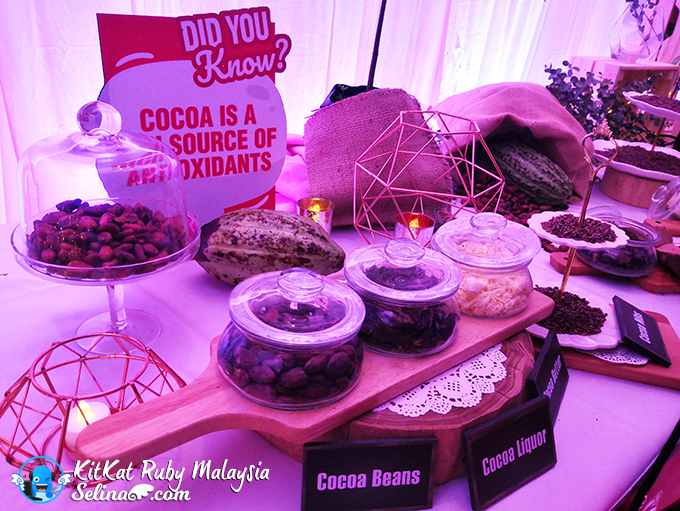 KITKAT was first to use the Ruby chocolate sensation worldwide, which was made by Swiss chocolate and cocoa processor Barry Callebaut from specially-selected Ruby cocoa beans found in major cocoa-growing regions including the Ivory Coast, Ecuador and Brazil. 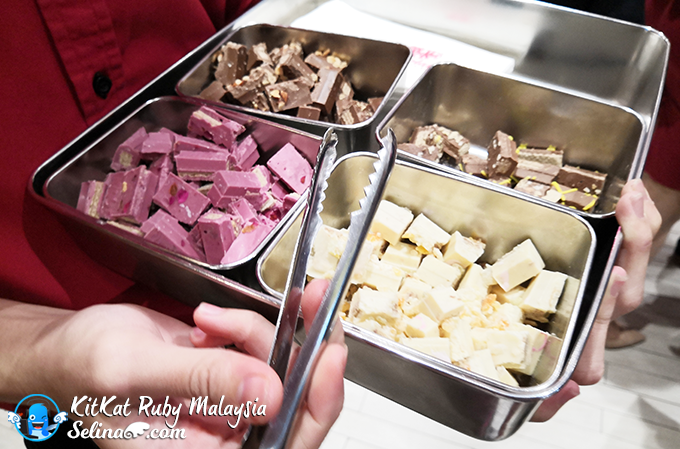 KITKAT Chocolatory give the sample of Kitkat for the customers who try different of type of KITKAT chocolate, depends on their favourite of tastes. 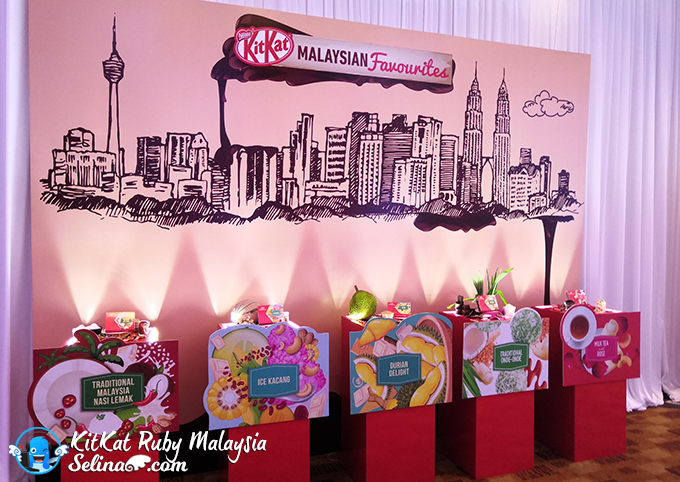 KITKAT Chocolatory also offers consumers the chance to create their own customised KITKAT from personalised packaging designs. 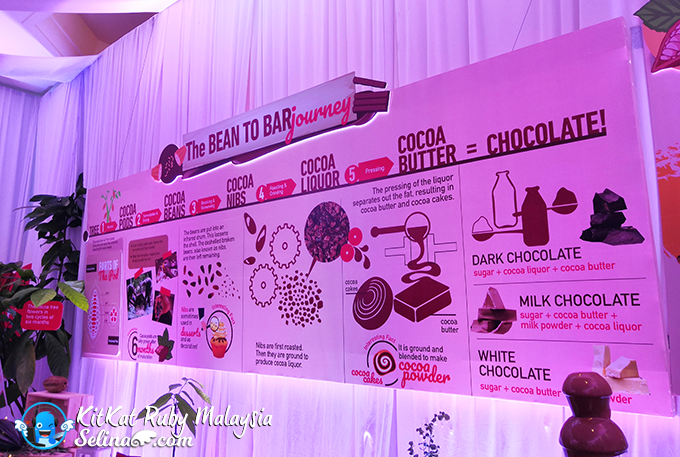 They can get their own creation of KITKAT chocolate through the touch screen! 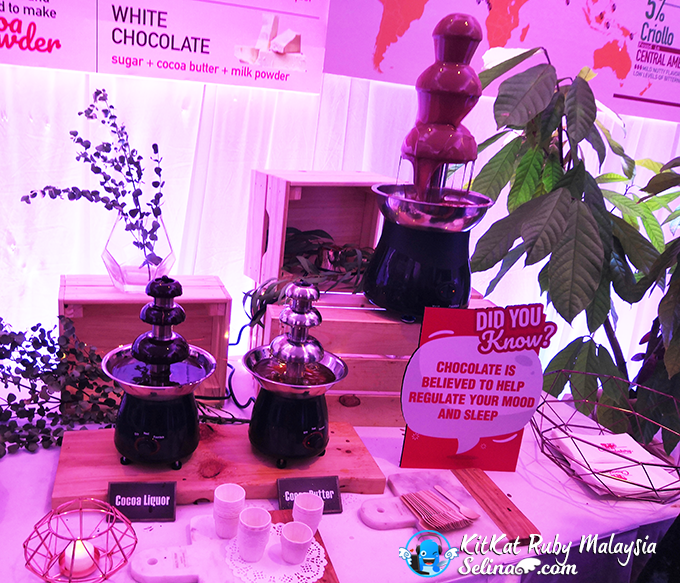 Or try their hand at creating their own KITKAT. 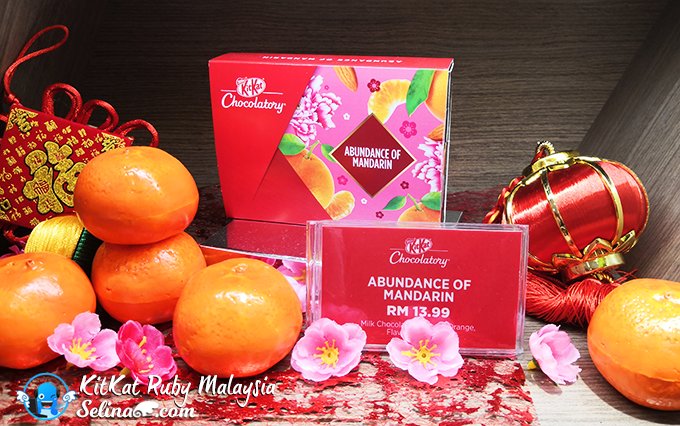 During the Chinese New Year season, you can give the KITKAT Mandarin to your parent when you back to your hometown! 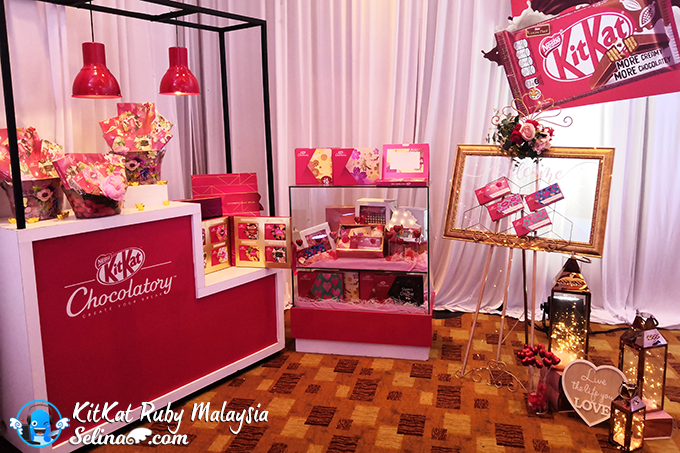 Nestle also offers the souvenirs, hampers and exclusive boxes for your family and loved one. 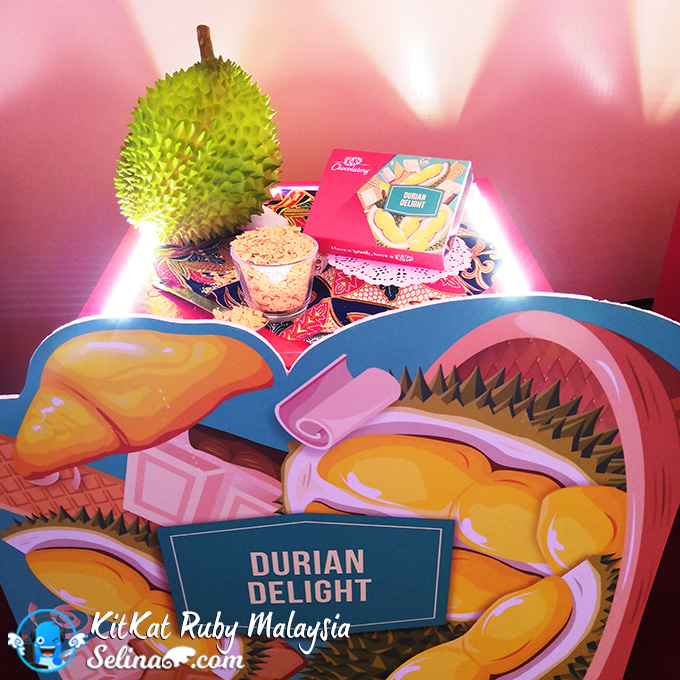 Oh ya, you MUST have a KITKAT Durian because it is very delicious!